Ajax Engineering, India and Fiori S.p.A, Italy, partnered to Manufacture & Distribute Self Loading Concrete Mixers (SLCM) in India; incorporating Ajax Fiori Pvt Ltd in Bengaluru, India. 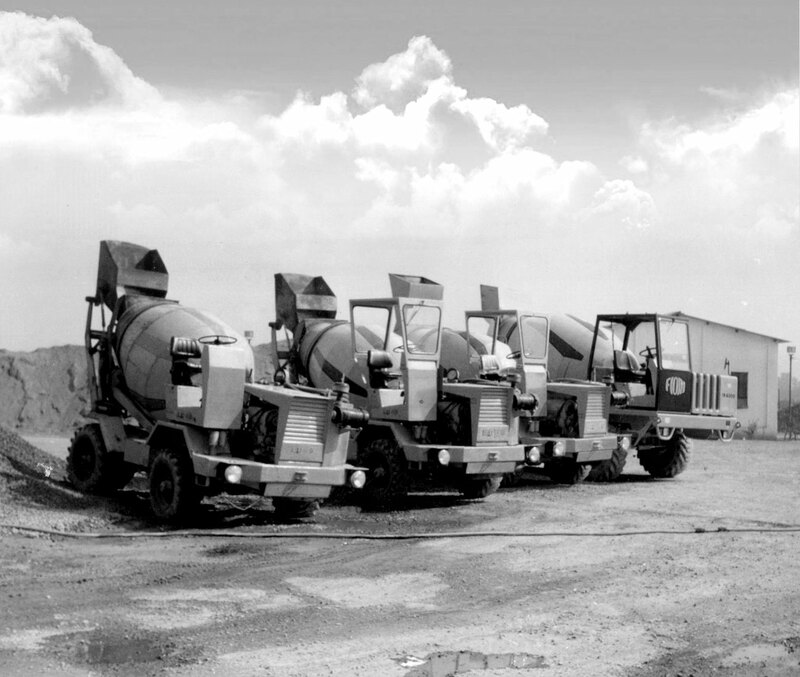 The same year, JS Reddy became the first owner of an SLCM in India, purchasing the imported Airone, featuring a 2 cu m mixing drum capacity. Ajax Fiori sets up its first factory to assemble SLCMs, near Bengaluru. Ajax Fiori expands its factory to cater to the rising demand. M4000, an imported 4 cu m capacity SLCM is delivered to ACC, Bengaluru. Ajax Fiori and ORU, Italy collaborated to manufacture & distribute Radius Lift Arm type (RLA) Concrete Batching plant. Sale of the first imported Transit Mixer XC 4000; Inline Bin Batching Plant India9 & RLA 20 ARA mb750 & first indigenously manufactured SLCM Argo 2000 in India. By now, Ajax Fiori products were working across 10 states in India. Ajax Fiori showcased its range of Concreting Machinery Solutions at Excon's first edition, international exhibition of Construction Machineries. Ajax Fiori introduced indigenously manufactured Transit Mixer XC 6000 & Site Dumper D20; along with the imported RLA 30 Batching Plant. Indigenously manufactured RLA 30 Ambison & SLCM Argo 4000 were introduced. Eurostar S.p.A, Italy teamed up with Ajax Fiori for manufacture & distribution of Planetary Mixers in India. Over 1000 Ajax Fiori SLCMs were now working in 20 states across India. Ajax Fiori introduced indigenously assembled Drag Line type (DLP) Batching Plants. 2 New factories for manufacture of SLCM were inaugurated in Doddaballapur, near Bengaluru. Argo 1000, an indigenous 1 cu m capacity SLCM was introduced. Ajax Fiori reaches the Andaman & Nicobar Islands & Sri Lanka. Also DLP 30 was launched at the first edition of BC India. Ajax Fiori collaborated with Junjin Heavy Industries, South Korea, for the manufacture & distribution of Concrete Pumps; the JSP 70 Concrete Pump was introduced. 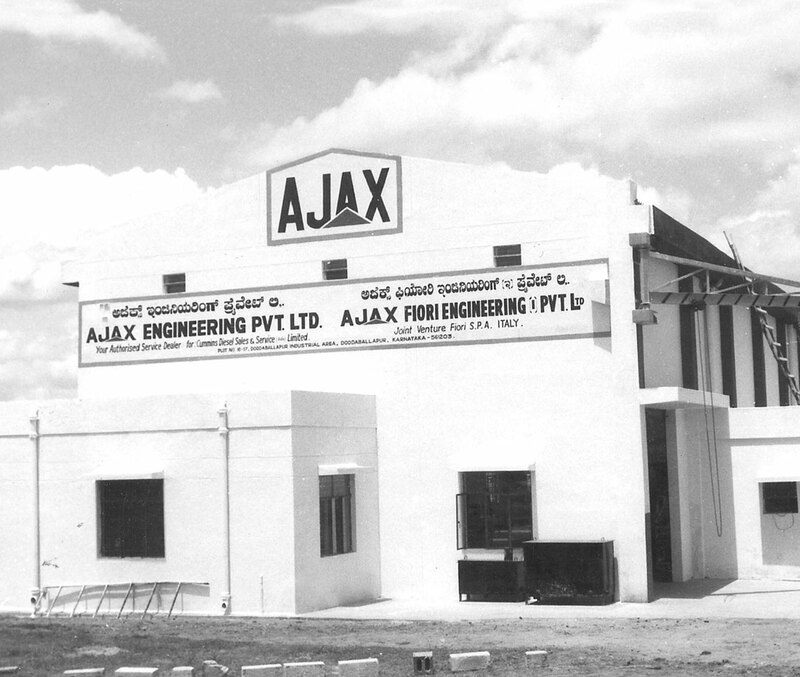 Ajax Fiori inaugurated a new factory in Gowribidanur, Karnataka, for assembly of Concrete Batching Plants. Compact Reduced Bin type Batching Plant, CRB 30, was introduced. Over 50 Argo SLCMs were used to complete the concreting of the Kshipra Ghats, in time for the Ujjain Kumbh. Today, over 7500+ Ajax Fiori products have been supplied to customers across India, and are supported by a pan-India network of Parts Warehouses & Dealerships. AJAX has completed 25 years of service in India, There are 27 Authorised Dealers Pan India for Sales, Service & Spare Parts and 3 dealers in rest of Asia. AJAX Launched the massive Inline Bin Plant 120 Cu m/hr with a Twin Shaft Mixer & Compact bin Plant 60 cu m/hr. AJAX also launched the Argo 2500 Model in the Biggest Construction fair Excon 2017. AJAX has crossed the mark of 1000 Crore thus fulfilling the Vision of the company.